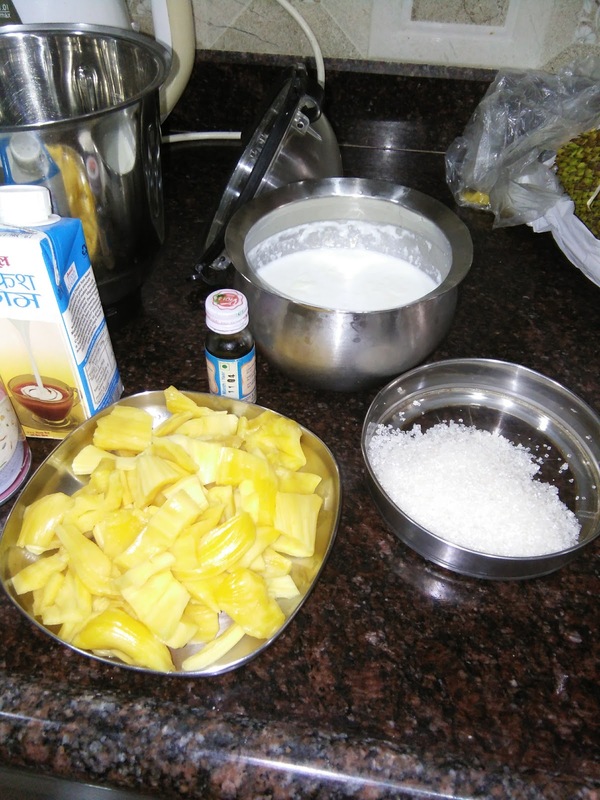 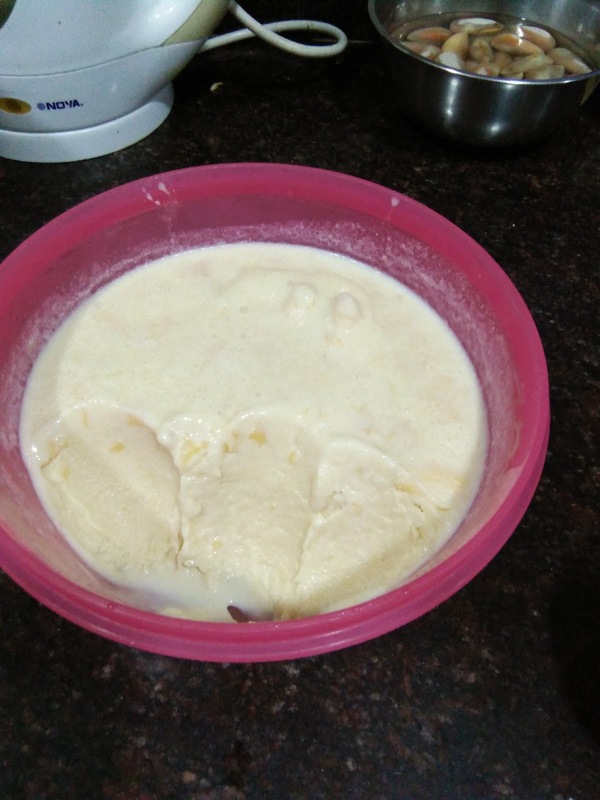 Take a mixer grinder, put jack fruit, sugar, essence, milk maid and fresh cream and grind to a smooth paste. 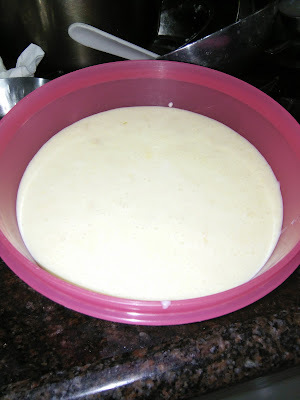 Then take a tupperware or air tight container and pour the mixer and deep freeze for 6 to 8 hours. 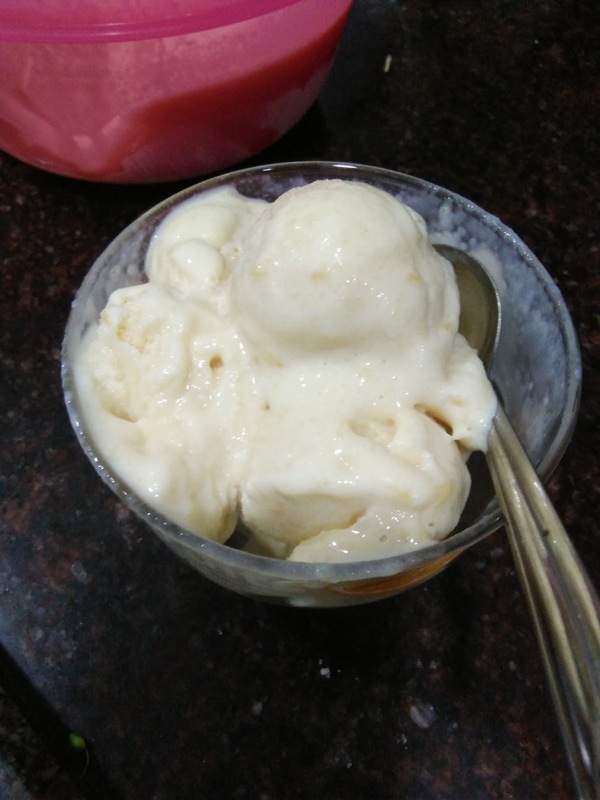 After 8 hours enjoy your yummy soft ice cream. Lapsi [ Wheat jada rawa ] kheer/payasam.